Creative agency will begin an "exhaustive" examination of its pay practices. It’s one thing to raise awareness about a cause—it’s another to back it up with action. On Equal Pay Day, creative agency Doner will not only stage an all-employee walkout throughout its four-agency network, but will also begin an internal wage audit to ensure everyone at the agency is being paid fairly. 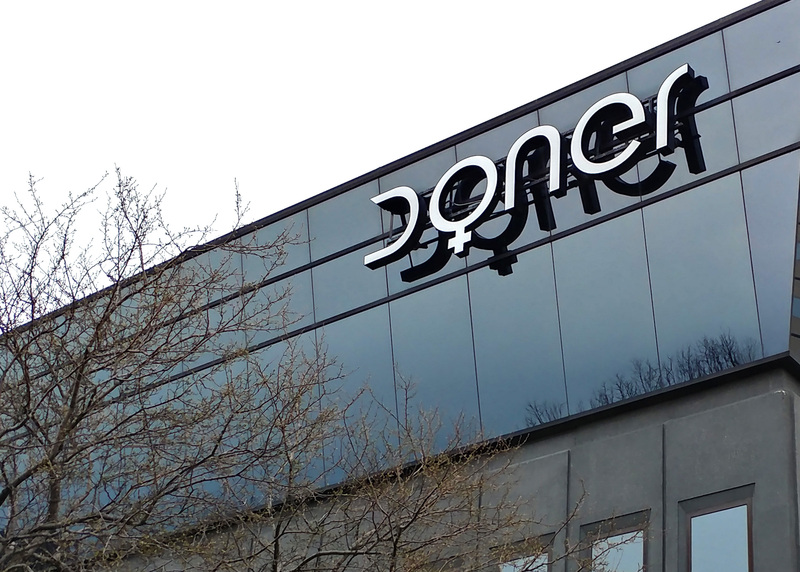 At 3:24 pm local time, all approximately 500 employees at Doner’s Detroit headquarters and its Cleveland, Los Angeles and London offices are required to leave the agency to demonstrate the company’s commitment to eliminating wage disparities. The time was selected to highlight a staggering statistic—women across industries still earn 80 percent of the salaries men make in the same positions, according to the U.S. Census Bureau. 3:24 is the exact time when 80 percent of the typical nine-to-five workday is complete and when women deserve to leave, said Doner CEO David DeMuth. 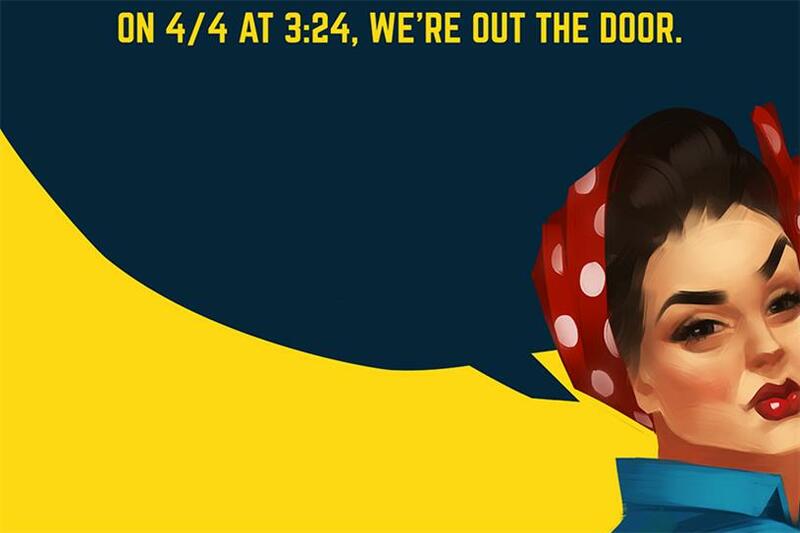 Doner is calling the walkout "Exit 3:24," and created a PSA and website that exposes myths around wage inequality and offers solutions for an issue that isn’t going away anytime soon. The Institute for Women’s Policy Research has estimated that the wage gap won’t close until 2058. Of course, an ad agency walkout on Equal Pay Day can be viewed as opportunism at its finest. Feminist groups and consumers have questioned the authenticity behind similar stunts, such as the recent "Fearless Girl." Last week, after the city of New York said the statue would remain on Wall Street another year, Adrielle Munger, a member of feminist group Redstockings, told Campaign: "A lot of the organizing lately is oriented around symbolic gestures—a big march, a fancy statue, pink cat hats. I'm not really interested in symbolic wins for women. I want real victories." But Doner said its work around the issue will extend well beyond symbolism. "We’re super committed to not just coming up with some stunt, but to take action on it," said Eric Weisberg, global chief creative officer at Doner. "If it’s just a gesture we do one day it won’t be very effective or ring very authentic with our clients." The agency will conduct a global salary audit, said DeMuth, "to see where we might have any gaps of inequality and look at steps to address that." The entire process could take months, he said. It’s not the first time the agency has investigated the problem. Last month, Doner conducted its own audit and found that its female employees are above the nation’s average, with women making 90 percent of what men make. However, Weisberg said he wants a more "exhaustive" review conducted through an external source. "We want to have the best and most accurate information so we can take action on it," he said. Doner is working with the 3 Percent Conference to select a consultancy to conduct the research and is also sponsoring the organization’s first Detroit event on May 18. The agency will also be turning the "o" in its name into the symbol for women on all signs across offices. The upcoming audit continues what Doner has been striving towards for the past year-and-a-half—to build a happy, diverse workforce. It’s a journey that began with a global survey of its employees, in which a common theme surfaced—the desire for more programs around fairness and inclusion. "We’ve been actively looking at our culture," said Weisberg, "the good aspects we should celebrate, the bad aspects that we should suppress and the things we need to add to it to make it an attractive, modern place to work where people thrive and want to stay." So far, the agency’s efforts have had positive results. More than 50 percent of new hires the agency has made over the past year have been women, said DeMuth. "It makes our creative better, our culture better and it makes us a stronger and better company," he said.